Nope, it's not the hero with the hammer—but it's just as impressive! 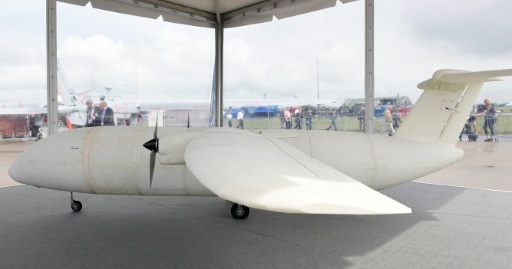 Airbus, a leading aircraft manufacturer, has just unleashed THOR—Test of High-tech Objectives in Reality—a miniature aircraft constructed from 3D printing technology. 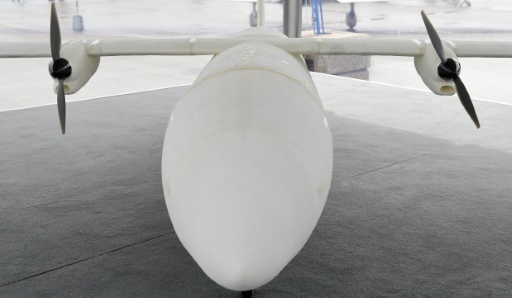 The windowless, pilotless, and propeller-driven THOR weighs in at 21 kg, and measures less than 4 m long. Though it is much smaller than a regular jet, THOR is capable of stable flight and even promises to save on time, fuel and money. The majority of THOR’s parts are extruded out of a 3D printer from a substance called polyamide. The only parts of the plane that aren’t printed are its electrical elements. Aside from the speedy production of parts, the metal components created from 3D printing technology are lighter than traditionally-manufactured parts by 30-50%. 3D-printed components also eliminate manufacturing waste and cut manufacturing costs. Engineers also have plans to apply this technology to spacecraft. In fact, the European Space Agency (ESA) plans to begin using the Airbus Ariane 6 rocket in 2020, which will feature many printed components and potentially halve the costs incurred by its predecessor, the Ariane 5. The latest 3D printers are capable of printing longer and more complex designs. Airbus is exploring this by testing methods enabling them to print an injection assembly for an engine, reducing the number of individual pieces from 270 to just three. He may have a point. A survey of air industry insiders reveals that many believe that, by 2030, most spare aircraft parts will be printed on site at the airport, and that even the aircraft themselves will be entirely 3D-printed.